Physical Gold and Silver investing is at an all time high thanks to the precarious economy and the money printing machine, the Federal Reserve. With every new dollar they print out (and they are doing so at the tune of $40 billion per month with no limit on the number of months), inflation increases and prices rise, including those of commodoties like Gold and Silver. So while every dollar bill buys less and less, every ounce of gold and silver will go up and up. Smart investors are hedging their bets and investing in Gold and Silver in record numbers. Yet, unlike investing in stocks, there is no real way to track your physical gold and silver investments. You can either create your own spreadsheet, which takes time and requires difficult calculations. Or you can use MetalQuick.com, which makes it easy to track the value and investment performance of your physical gold and silver investments. Are you in the financial industry and work with physical Gold, Silver, Platinum, or Palladium investments? Are you looking for ways to add some extra income to your bottom line with a compounding, recurring revenue stream? If so, then sign up to be an affiliate partner of MetalQuick.com. We provide lucrative revenue sharing for leads that convert to paid sign ups on our site. All you have to do is include a special link to our site. We'll even give you the link once you sign up. Then paste it on your site, promote it in your Blogs or Pod Casts or to your customers, and we'll take care of the rest, including cutting you a check every month with your share. If this sounds like something you'd be interested in, please Contact Us and we'll get in touch with you right away to get you signed up. 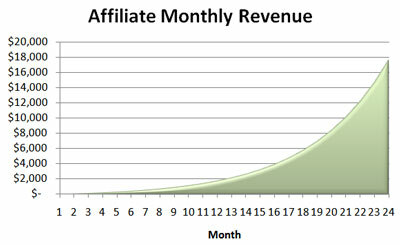 Note: Chart just shows one potential scenario based upon increasing new users every month. No affilate earnings are guaranteed and are fully dependent upon the amount of new users you send to MetalQuick.com that signup. Your minimal potential is $0/month, but you maximum potential is UNLIMITED. It depends on YOU! Are you driven to succeed? What would you do with an extra $100, $1,000, or even $10,000 per month?!? !